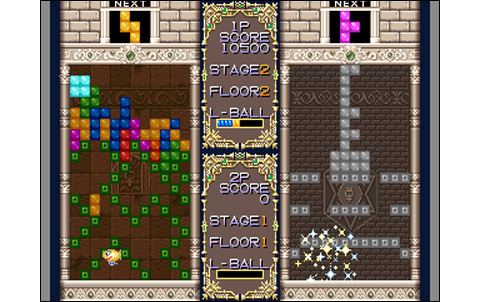 All players aged thirty years old or more have obviously heard about Tetris, the game that had millions of Game Boy sold all around the world. 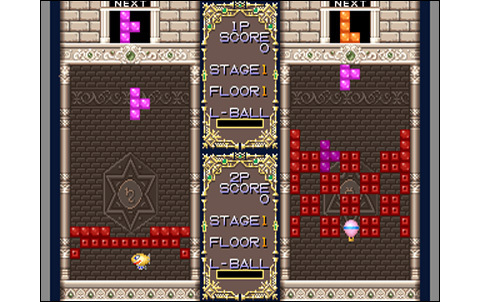 This puzzle game was based on a simple principle: geometric shapes fall from the top of the screen, you have to stack them in order to form lines that automatically disappear, to score as many points as possible and reach the final level. 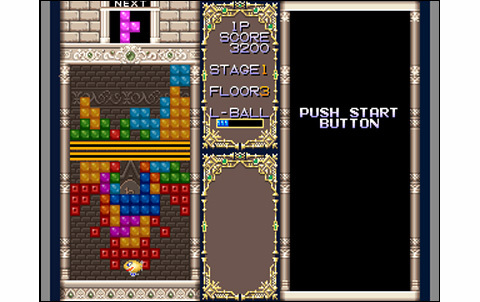 Puzzled takes back this principle, and adds some details: we have to free a flying balloon with our hero from a prison made of these geometric pieces, by destroying them making lines! Geometrical shapes are already build when you start a stage, the goal is to make them disappear by using the various forms falling from above, and thus clear the way to the next level! Here's the full story of Puzzled: Once upon a time, there was two villages, one of women and one of men: they were at war during a long time, and at the end there were only children left. Then, the God of the Sun rose a tower between the tribes, so that they stay forever in the dark. Now, boy's village and girl's village each send their messenger in a balloon to the top of the tower. Their mission is to apologize in the name of the people to the God of the Sun. We start the game without knowing where we're going, but one thing is sure: this tower is damn high! 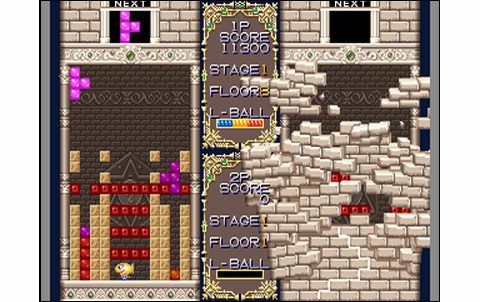 No less than six floors, broken down into sixty levels total. But this would be too simple: to succeed, Rad and Am - the messengers - must both be present at the top of the building. 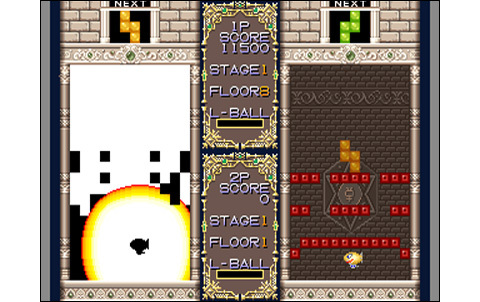 So it's about one-hundred and twenty all different stages players have to clear, since the first sixty patterns are not the same as the following sixty and as you can imagine, some are real puzzles! The single player consists in freeing the balloon to go up till the end. By accumulating lines we charge the "L-Ball" gauge: when it is full (or almost, as there's three levels of blast), pressing B triggers an energy blast around our hero. If your shot is well adjusted, you can free your ship with a single one, and save you from further complications! Concerning the two-players simultaneous play, it doesn't changes much from the single player mode: we play in parallel without any interaction, the best you can do is optionally have a race together... Too bad, the game deserved a more pungent versus! 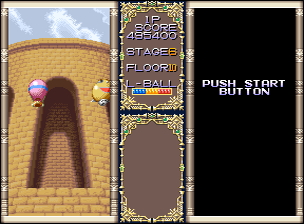 With each line destroyed, gravity puts down all the stacked blocks: and using this particular fact, you can make destruction 'combos', and if you have correctly calculated your shot, you can even release your airship directly. So, it's up to you to calculate properly your imbrications! Some spoilers spice up the stages, such as cubes generators, sentinels, hard blocks, and even indestructible blocks... and so on. Besides, the clock is ticking, since the fall of geometric pieces accelerates more and more! 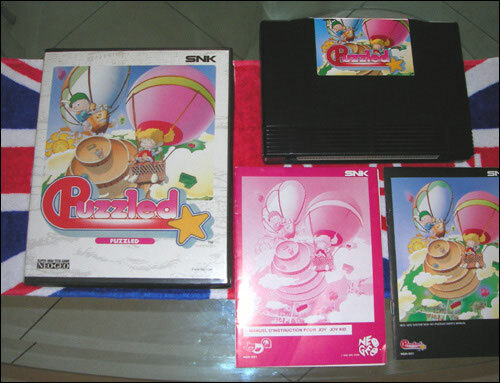 On the visual side, the least we can say is that Puzzled's graphics are perfectly basic. 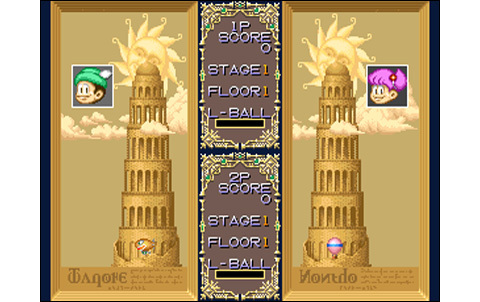 On each floor of the tower, the background changes: the various backgrounds are nice but pretty shorn, and if the game interface is quite clear, simplicity prevails throughout the whole game design. If you were waiting for incredible colors, fabulous Bosses, tremendous beauties in graphics... go your way! The animation is simple, since there is nothing particularly complex to animate! 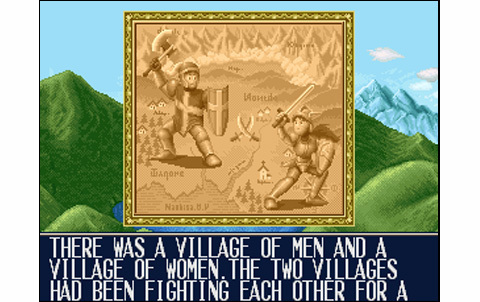 Everything is well put together indeed, but it's still so basic... and the soundtrack is not intrusive too: the themes are sympathic and the sound FX do the minimum we were waiting for: in other words, the game could be adapted to any 16-bit system with almost no losses! 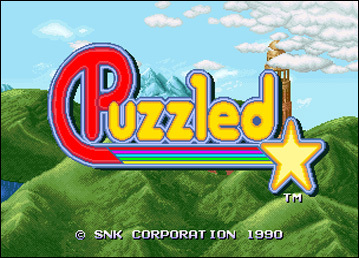 Puzzled stands as a very classic puzzle game, nice, addictive though, and damn long with one-hundred and twenty levels. 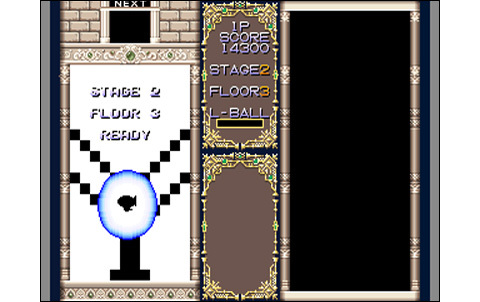 However, the realization is minimalist and the game lacks luster, but hey, this is not what we want most in a puzzle game! 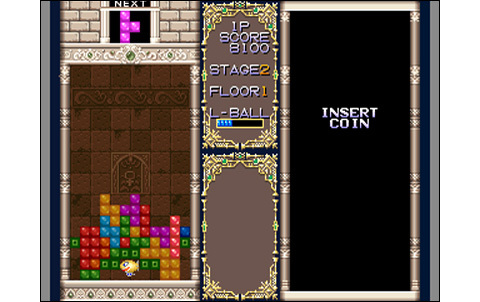 The gameplay is just a Tetris-like with some additions, while the game atmosphere is nice and the scenario cute... A little game that make brains work, why not? In this 'all-for-fighting' game library, a little exoticism is still welcome! 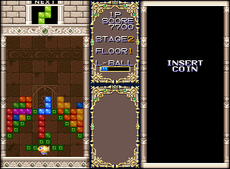 A Super NES would have done the same without a doubt, but that's just a Tetris game, and graphics are not really important. Acceptable, the game itself does not require complex animations and we still get the minimum required here. Effects are basic and the different melodies (six in total) are simple and good, but damn repetitive! 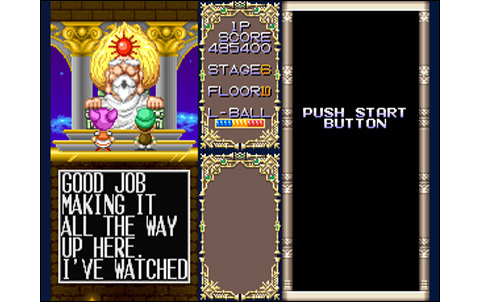 Clearing the game with Rad & Am to see the true ending consists on a one-hundred and twenty levels challenge... Good luck! 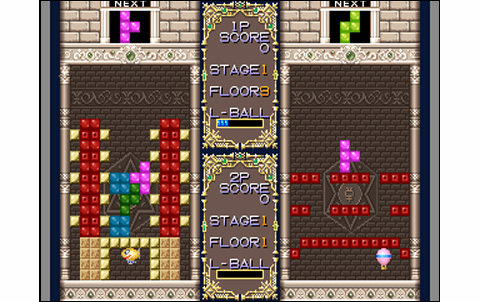 Puzzled's simplicity makes its strenght, but a more interesting 2P mode would have been welcome, with competitive battles or something like that! 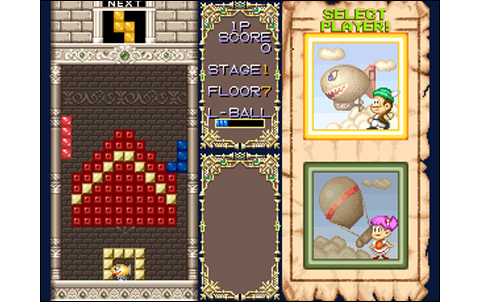 Puzzled/Joy Joy Kid is a decent puzzle game, not very original nor innovative but well designed, that might please amateurs of Tetris games. 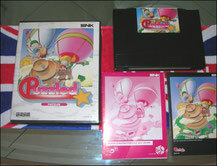 Joy Joy Kid (name of japanese version) AES costs about seventy euros, and more than one hundred if you want Puzzled, the US/Euro one. It's one of the most affordable puzzle games on the system, plus it's an original (unlike Puzzle Bobble).